Poppyland Holiday Cottages offers weekly bookings starting on Friday and Saturday. 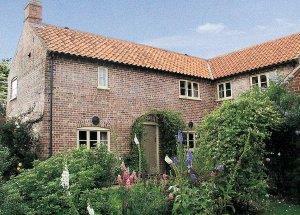 Hardys Cottage is a two bedroomed cottage (1 double and 1 with bunks) in the heart of Overstrand. Shops, beach and pub only 3-4 mins walk from cottage. Garden area with BBQ and garden furniture. Children welcome. Arrival time 3pm. Departure time 10am. Hardys offers weekly bookings starting on Saturday.